He made the dream come true. He fought his way to the top and survived. He won the World Championship. Twice. He retired at 33, returning four years later to win the Indy 500. Twice. He won the CART Indycar championship. He was a trailblazer, sparking a passion for Grand Prix racing in South America. And Formula 1 had never seen sideburns quite like it. 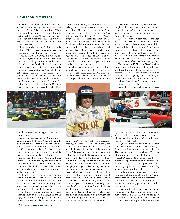 That is the story of Emerson Fittipaldi in a rapid string of sentences. Named after American author and philosopher Ralph Waldo Emerson, he was born in São Paulo, not a city famed for its motor racing connections, in 1946. 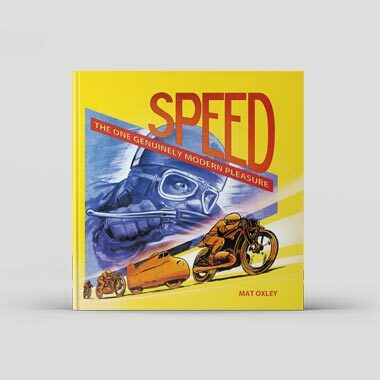 His parents, however, did race production cars and by the time he was 14 he was competing on motorcycles. 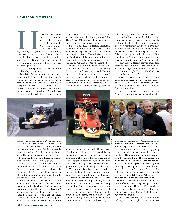 In 1969, having won the Brazilian Formula Vee championship, he packed his bags and came to England. 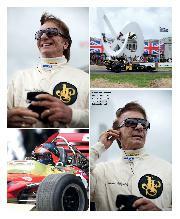 By the summer of 1970, he was sitting in a Lotus 49 at the British Grand Prix. 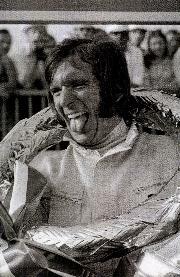 When Jochen Rindt was killed at Monza, Fittipaldi became team leader and in October he won the United States Grand Prix. Two years later he was World Champion, at 25 the youngest ever driver to be crowned. 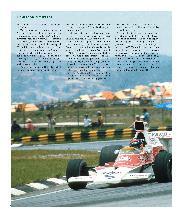 In 1974 he did it again, this time with McLaren. He was walking on water. This year the Goodwood Festival of Speed celebrated 60 years of Lotus and of course Emerson was there, back in the cockpit of the black and gold 72 that carried him to that first title. Sitting quietly, in a corner away from the crowds, he recalls those early years. I’d just won the Formula 3 title. I told him I wasn’t ready. It was hard to say no to Colin. Then Frank [Williams] called and again it was tough to say no, but I wasn’t ready. These days, of course, achieving success soyoung is not so rare. Fernando Alonso, Lewis Hamilton and Sebastian Vettel have all beaten Emerson’s record for ‘youngest ever world champion’. These are different times but all these sportsmen share the same DNA: they have talent and they’ve worked hard. If you’re good enough, you’re old enough, as they say. “Yes, they are there because of their talent, they are the best of their generation and they came from karts like I did,” says Emerson. He has seen many young drivers come and go, some who made it, some who fell short of greatness. He doesn’t want to name names but has firm opinions on why so many failed to fulfil their ambitions. Emerson survived a horribly dangerous period of Grand Prix racing. 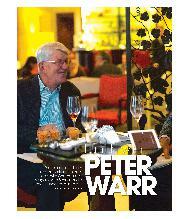 Things came to a head for him when Rindt was killed at Monza and he went to the next race as team leader for Lotus. There were mutterings that Chapman’s cars were too fragile. “There was fear, yes,” he says sombrely, before pausing for thought. “When I won my irst title I went home and I told my brother and father I was retiring. My dream had been to start a Grand Prix, and now I was World Champion. It was too dangerous and I wanted to stop, but they said, ‘No, it’s a waste of your talent, you must continue. There is always a risk, yes, but you could die in the São Paulo traffic’. So I went on. 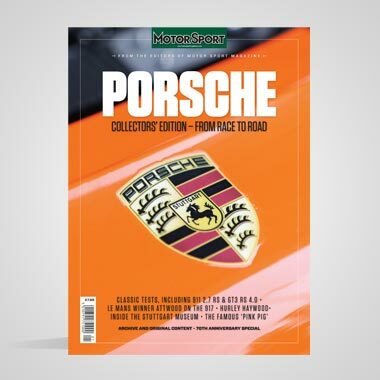 “I had been right behind Jo Siffert when he died in 1971. I stopped but couldn’t save him – and again I wanted to quit, but went on. How, then, did he deal with Colin Chapman during the dark days of the early 1970s? There must have been times, I suggest, when he had doubts about the cars. A belief in God has steered Emerson throughout his life, devotion to Christianity coming from a grandmother who fled from Russia to start a new life in Brazil. Many times, when faced with danger or doubt, he relied on the faith instilled in him by his family. Switching teams to remain motivated and competitive is, and always has been, part of staying at the sport’s pinnacle. 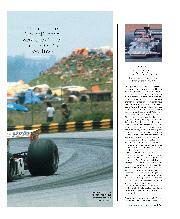 But Emerson’s sudden departure from McLaren at the end of 1975 mystiied the entire paddock. Why would he do that? Who or what was Copersucar anyway? It seemed like the end of a great career. “It was not so easy, but my brother Wilson and I had always dreamed of building our own F1 car,” he says, patiently. “As teenagers back in Brazil we had worked together building cars. 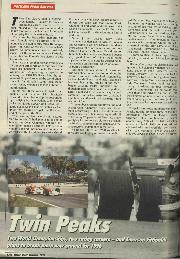 We broke the lap record at Interlagos with our Fittipaldi-Porsche sports car. To have our own Brazilian F1 team was more dificult than we thought, the biggest challenge of my life, but we had the Cosworth/Hewland package and it was easier to build a car at that time. It takes a long time to get the right people, and a team is all about the people. 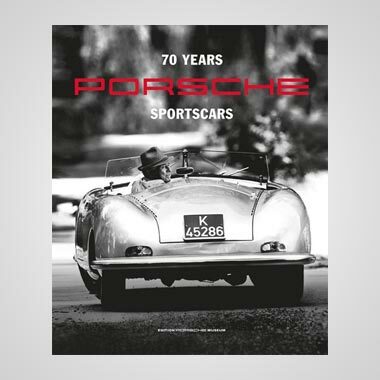 But when I stopped, in 1980, we had Harvey Postlethwaite, Peter Warr as team manager, Adrian Newey – who’d just left Imperial College – and Keke Rosberg in the car. It was surely time to retire, but no. 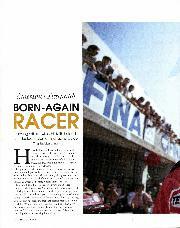 Emerson simply couldn’t walk away from his first love, his passion for racing. And so, after four years away to regroup, he made a new start, in America this time. “You know, in 1974, after Watkins Glen, I drove Johnny Rutherford’s McLaren Indycar and loved the ovals, the speed and those fast corners. I promised myself that I would go back one day. Anyway, I made my way to Penske and won the 500 in ’89 and ’93. Incredible. I was lucky,” he says, grinning at the winner’s ring on his finger. Eventually, it seemed, retirement was forced upon him, an extraordinary career coming to an abrupt halt against a concrete wall at Michigan at the end of July 1996. But that’s not quite how it happened. He fails to mention that, having recovered from the Michigan crash, he was flying over his orange farm in Brazil when his aeroplane lost power and crashed, causing more serious back injuries. Just another page in the book, another challenge to overcome. 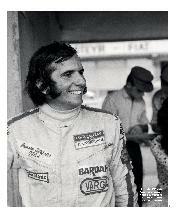 It beggars belief, then, that we heard the name Fittipaldi mentioned in connection with Grand Prix Masters, a travelling show that would reunite legendary names from the past for a series of supposedly not-so-serious races in identical cars. What on earth was he thinking? “They kept asking me to do it,” he laughs, “so I tested the car at Kyalami. It was fast, a real racing car, what should I do? I called my mother in Brazil. I knew she was scared I would do something like this. I said, ‘Mummy, I want to drive again. What do you think?’ She replied, ‘You still love it, do it. Don’t waste your time, do it. In life you never know what’s going to happen – drive!” So I did and I enjoyed every minute of it. Will I race again?” he bursts into more laughter. “Why not? Sports cars maybe? Look, I don’t want to say I’m not going to race again – you never know. “The memories are so good but I always look forward, the future is coming and retirement is the worst word for a man. 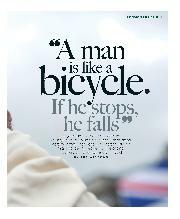 A man is like a bicycle, if he stops he falls. 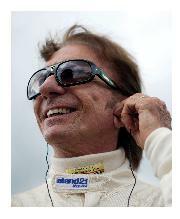 Pedal slower, yes, but never stop.” Right now, Mr Fittipaldi shows no sign of slowing, let alone stopping. He attended Le Mans this year, he has been a steward at Grands Prix, his company is behind the São Paulo Six Hours, a round of the FIA World Endurance Championship in September, and he is involved in helping grandson Pietro through his NASCAR career. At the Goodwood Festival of Speed he was mobbed, hardly able to take a step forward without posing for another photograph, signing another autograph, while his family, youngest son Emerson, baby daughter Victoria and third wife Rosanna waited patiently in the background. It occurs to me that there will always be a new ‘Youngest Ever World Champion’, be it by days or weeks. They are getting younger, are they not? If anyone knows what is required, Emmo knows. And I could listen to him all day, he’s that kind of man. Yes, they always have more time, the champions, they are never in a hurry. For Emerson, it was 40 years ago, but the fundamentals remain the same.